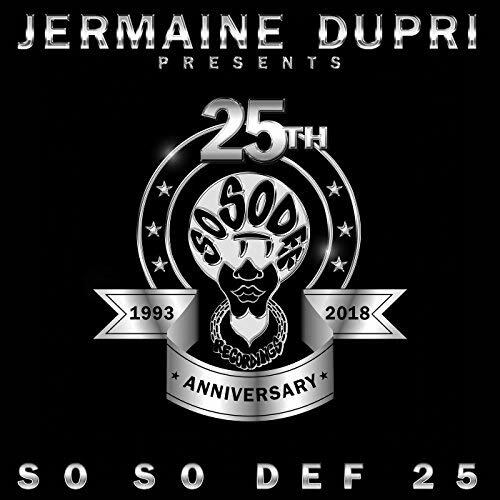 Released in honor of So So Def’s 25th anniversary, So So Def 25 pays tribute to the pioneering Atlanta-based label with a collection of its hip-hop and R&B hits. 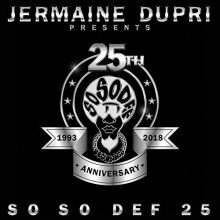 Curated by So So Def founder Jermaine Dupri, the compilation has been released on a 12” vinyl collector’s edition by Sony Music’s Certified Classics. Featured artists include Jay-Z, Bow Wow, Ghost Town DJ, Aaliyah, and many more. Scattered amongst the So So Def classics are rarer tracks like Jagged Edge’s “Let’s Get Married (Kanye West Remix)”—one of Kanye’s early verses—as well as an explicit version of “Da B Side” by Da Brat with an alternative verse by The Notorious B.I.G. Additional playlists celebrating the anniversary can be found on So So Def’s website. This entry was posted in Rap and Hip-Hop and tagged Certified Classics, Chloe McCormick, Jermaine Dupri, R&B, Rap and Hip-Hop, review, So So Def 25, Various, vinyl by aaamc. Bookmark the permalink.